As you sit here, reading these words, trillions of neutrinos are streaming right through you; as if you were a sieve, they pass unnoticed through your clothes, through your skin and bone, through the chair you are sitting on and the floor of the room you’re in. They pass right through the Earth itself and back out into the vastness of outer space beyond. 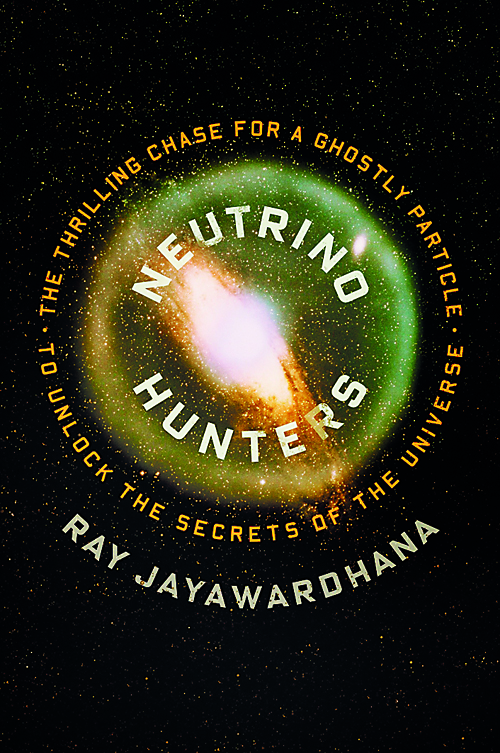 When astrophysicist and author Ray Jayawardhana first began paying attention to these neutrinos, he was immediately fascinated. Here was a story worth telling – one packed with an incredible cast of characters, extraordinary discoveries and above all a field of scientific inquiry that had just begun to open up to the brilliant possibilities that lay ahead. In short, he knew he’d found the perfect subjects for his third book. In Sri Lanka for a short visit, Ray is packing a lot in. He makes time for an interview with The Sunday Times between his return from Wilpattu and a flight out of the country. ‘Neutrino Hunters: The Thrilling Chase for a Ghostly Particle to Unlock the Secrets of the Universe’ was launched in New York last month with twin events. In January, he’ll do five cities in the U.S followed by stops in the U.K. The U.S publishers of the book have a joint imprint with Scientific American, and the magazine carried an excerpt in its December issue that helped get the word out. This may just be Ray’s most successful publication yet. 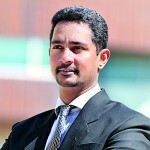 However, “it’s not at all my field of research,” says the Sri Lankan-born scientist, who is best known for his work on distant exoplanets orbiting stars outside our solar system. “I was thinking about my next popular science book, I thought this was one story that hadn’t really been told for a general audience.” Their importance was indisputable. Neutrinos are interesting for what they can tell us about matter on the smallest of scales but also about some of the biggest events in the universe itself. “Neutrinos are cosmic messengers, in other words,” says Ray. Many of these sub-atomic particles are generated millions of kilometres away, in the incandescent heart of the sun where a powerful fusion reaction also supplies the heat and light that fuels life on earth. However, they can also be produced in the upper layers of the earth’s atmosphere when cosmic rays hit atoms there or come from deep within the planet, created by the steady decay of buried radioactive materials. Most elusive of all are the cosmic neutrinos produced by tremendously powerful and violent events outside our solar system– think in terms of exploding supernovae and jets emerging from the heart of super-massive black holes. By studying neutrinos streaming out of the latter, we can understand a thing or two about the last stages of life of stars. For astronomers, there are even bigger prey out there. Some hope that neutrinos might one day help us identify the dark matter, a substance believed to make up a large chunks of the universe. Clearly, there’s much left to learn. However, these cosmic neutrinos are elusive, requiring great determination to track. To see how much, you only need visit the Sudbury Neutrino Observatory, or SNOLAB in Ontario – it’s the world’s deepest underground laboratory. It exists inside an active nickel mine and Ray had to travel just over a mile and quarter below the surface to pay a visit. Entering in overalls and steel toed boots along with the miners, he had to shower and change into new overalls, boots and a hairnet to enter the hyper-clean laboratory space beyond the tunnels. Inside, an Olympic-sized swimming pool helped researchers shut out the “noise” created by all the other sub-atomic particles bouncing about on the surface and focus in on neutrinos. It’s a lot of effort to go to identify perhaps one cosmic neutrino a month, but neutrinos have been generating a lot of such interest says Ray, particularly since the discovery a few years ago that they oscillate between what has been described as “three flavours.” The quantum properties of the particle allow a single particle to change form – it might be one kind of neutrino before it goes through you and another when it comes out the other side. Fanciful metaphors like this make very scientific theories accessible to Ray’s readers but it’s also the eccentric cast of characters populating the book that find appeal. “I was fascinated by some of the people involved in theorizing about neutrinos and chasing them,” says Ray, who wove scientists and the science they conducted into a seamless whole. There are the likes of Wolfgang Pauli, pioneer of quantum physics and a disciple of Einstein, who proposed the existence of neutrinos to explain oddities in the nature of radioactive decay and the law of energy conservation. Another fascinating piece of the puzzle is a very shy Italian – Ettore Majorana, developed a ground breaking theory about the nature of neutrinos but his mysterious disappearance in 1938 has puzzled scholars ever since. There’s also the Italian physicist Enrico Fermi, who coined the word neutrino meaning ‘small neutral one’. (In one of those interesting little connections, Fermi, also known for his work on the atom bomb with Robert Oppenheimer, is Ray’s “academic great-grandfather,” i.e his PhD’s thesis advisor’s advisor’s advisor.) While much neutrino science is currently driven purely by curiosity, practical applications may soon become the focus of research. From tracking the proliferation of illicit nuclear power plants (an artificial source of neutrinos) to new forms of communication that could literally cut through the earth and beat satellite transmissions by milliseconds, neutrinos have several intriguing possibilities, not least of which is that they could also be used to locate deeply buried oil or mineral deposits. There are few people better qualified to tell such stories than Ray. His discoveries have made headlines worldwide and led to accolades such as the Steacie Prize, the McLean Award, and a Radcliffe Fellowship. Dubbed the ‘the new dean of popular science,’ the astrophysicist is attached to the University of Toronto where he also serves as the senior advisor to the University’s president on science engagement. He explains his investment in engaging the public on science by identifying what he sees as an obligation on the part of scientists to share their learning with those who are funding them. Published in The Sunday Times, Sri Lanka on 12 January, 2014. Words by Smriti Daniel. Pictures courtesy Ray Jay.